A wonderful blanket of snow and fine weather prevailed as skiers from Valais dominated the Telemark Swiss Championships in Saanenmöser. Local heroine Simone Oehrli finished as runner-up. Many teams have dreamt of a weekend like this when hosting their events: a bright blue sky, spring-like temperatures, yet an excellent covering of snow. The President of the OK, Martin Welten, was more than pleased. Around 100 athletes gathered at the start on all three race days. "We still had many late entries from people who took the last-minute decision to go to the start in the Saanen region," enthused Simone Oehrli. The incredible conditions and the smooth running of the event lead to commendations and positive feedback from competitors, according to Oehrli. This Swiss Championship was free of accidents and full of fun, with a great atmosphere at the end of the season and Telemark skiing as the main focus – all in all, an event that many will remember. It's always a highlight when top athletes and beginners ski down the same slope and have fun, said OK President Martin Welten after the rankings were announced. On the piste by the Lochstafel lift, competitors negotiated a total of 17 gates, one jump, one 360-degree loop and a skating track. Gate keepers stood at the side of the piste and handed out penalties when competitors failed to ski through the gates using telemark techniques. These penalties were converted into points and added up at the end. The helpers did an excellent job and kept the piste in tip-top condition all the way through, giving all competitors a fair race. Although only a few spectators were standing by the side of the piste and in the village, there was a great atmosphere. On the podium, the thirteen stars on the Valais flag were plain to see. In the junior women's competition, Valais women took all podium places, as was the case for the juniors. In the elite women’s category, there was an exciting duel between Amelie Wenger-Reymond and native Saanen competitor Simone Oehrli. The local heroine was cheered loudly with cowbells ringing. In the end, Amelie Wenger-Reymond rounded off a strong season (16 races with 16 medals), beating Simone Oehrli and Kim Aegerter. In the elite men's category, reigning world champion Stefan Matter had to concede to Bastian Dayer from Valais. In the fun category, Bruno Sumi won the men's race and Eveline Schwab the women's race. 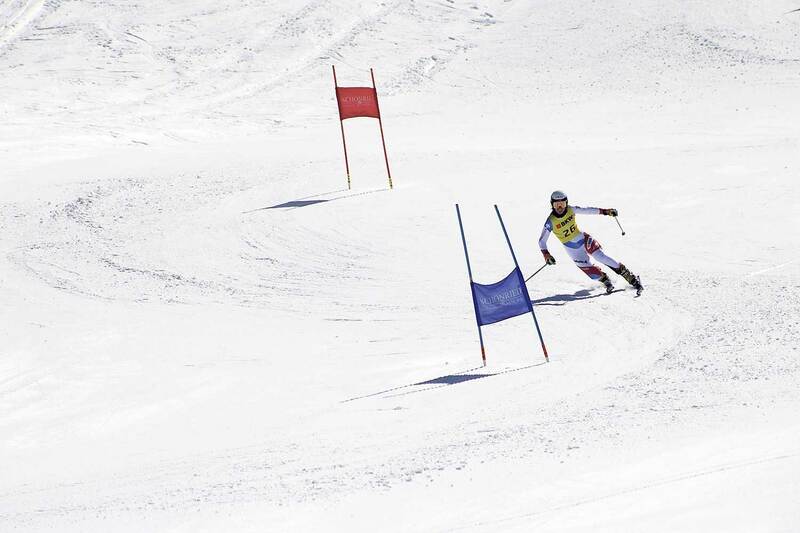 On Friday, Amelie Wenger-Reymond and Bastien Dayer won the parallel sprint. Simone Oehrli had to settle for second place. On Sunday, the fun cross took place, with Amelie Wenger-Reymond also winning the women's race and Romain Berney the men's contest.